It's a chilly day outside and our cozy Atelier is bustling with activity. 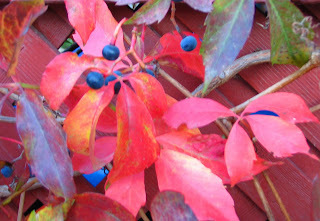 Autumn is here and winter is just around the corner. It's time to prepare for the cool weather ahead. 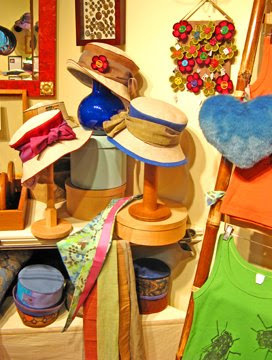 At Gwendolyne Hats you'll find a bounty of warmth and colour to brighten your day. 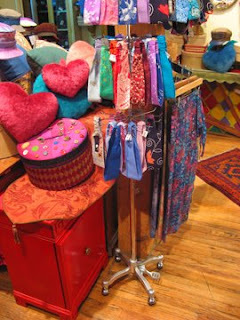 As we stop to admire all the beauty in our shop Gwendolyne and I are giddy with excitement and pride. Our repertoire has grown this year and we’re delighted with the results. Evolution is invigorating. It’s brought a fresh perspective to our worktable. This Fall harvest is sweet and our amazing new creations are ripe for the picking. We've seen success in our new products and good things are on the way. 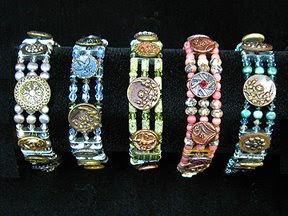 Our antique Button Love bracelets are a big hit. 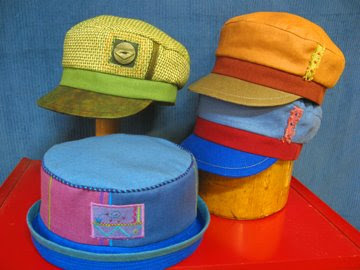 Men and women love our latest Abbey Road peaked caps. 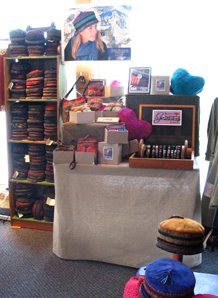 And this season we even have some wonderful merino wool fingerless gloves in the store. But the best news of all? 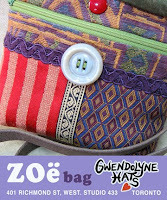 Our little Zoë bag created in the Spring has given birth to a whole new line of Gwendolyne Bags! Congratulations are definitely in order. There's a fabulous selection of these items and more in our shop right now. Remember, it's the accessories that make your outfit. Our work has lasting beauty. It looks great together too! Our new bags are absolutely gorgeous. It's been an amazing journey and we're thrilled with the results. 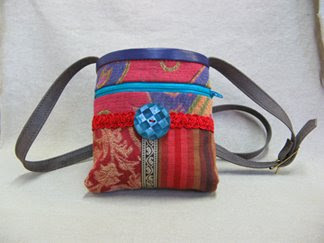 There are four different designs and each individual bag has a character that's all it's own. Gwendolyne has really outdone herself. They're just so desirable. The new designs are created in limited editions and each bag is unique. You could be the only one in the world. Everybody we've shown is talking about them. Here are a few of my favourites. 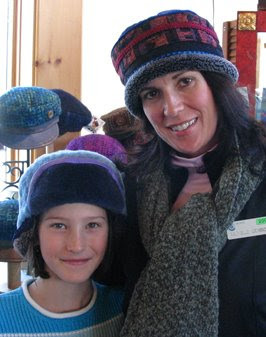 Our fiber art is expertly handcrafted from the finest natural materials. Like paintings each one is a distinct composition of texture, pattern, colour and detailing. We want people to have value in their life. That’s why we design and create tangible things you can appreciate everyday. We invest our work with meaning and a spirit that speaks. It's special because we take the time to make it that way. It takes over 200 steps to make one of Gwendolynes' bags. Here are some photos to illustrate her journey click here. 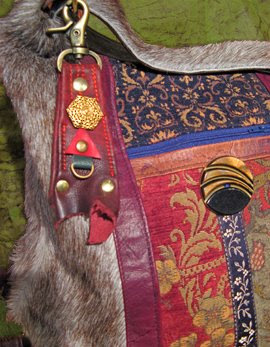 Our Talisman started as a romantic flourish for the bags. A final signature detail to celebrate it's beauty or an opportunity to personalize your own. After making one Gwendolyne realized it's true power. Sometimes your work just tells you what it wants to be. Now we see the Talisman as a little bit of magic like a rabbits foot or lucky charm. 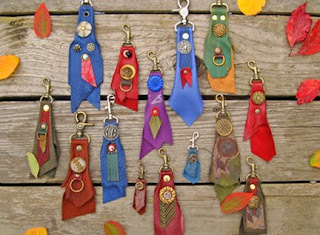 They come in many sizes and can be hooked onto anything; zippers, key chains, knapsacks, bags, anything that's waiting to be embellished. They make great gifts for friends and family. For a closer look double click on the photo below. Last weekend we were privileged to be part of Toronto’s Nuit Blanche Festival at our building 401 Richmond. The city was alive with enthusiastic seekers of Art and Culture. Our Atelier was open all night long and we had lots of fun. The excitement and support of our visitors was invigorating. It was wonderful to meet so many smiling faces. Art can feed your soul. We feel blessed. Thank you. 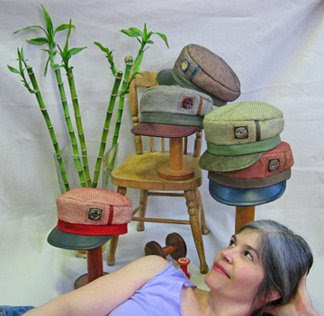 It’s a lazy Summer day at Gwendolyne Hats and that feels good. We’ve been very industrious lately now it's time to relax. After the Toronto Outdoor Art Show we took a little break to enjoy the creativity of our studio and experience some of the excitement our city has to offer. Our Shop’s been busy with some delightful visitors from abroad. Summer is a great time for travel and we’ve met new people from Japan, Italy and the States. 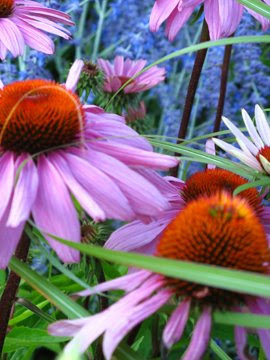 Tonight we’re off to the Toronto Music Garden for a wonderful outdoor concert of classical music down by our waterfront. Tucked away at the foot of Spadina, this magnificent garden is a magical setting for many reasons. Its intimate outdoor concerts are always outstanding and the garden is absolutely gorgeous. The local birds play host to 2 free concerts a week all summer long. If you listen carefully you can hear them singing along with the music for their supper. We always bring a picnic dinner to double the fun. I’m looking forward to Persian Music for a Summer Night Thursday Aug 7th. ~ Maybe we’ll see you there. If you want to see a slide show of this beautiful garden in full bloom click here. A special thanks to all the people involved with the Music Garden; especially Tamara Bernstein, for providing us with this enlightening opportunity. 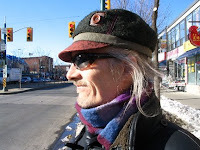 The Toronto Outdoor Art Exhibition was great fun this year. 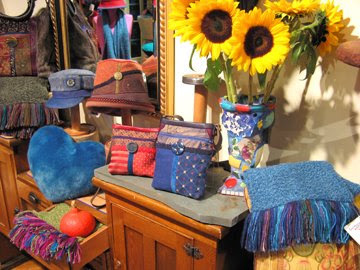 It’s always such an amazing display of beautiful handmade things from the heart. This year was no exception. Our booth was bustling with fresh and familiar faces. I think people really enjoyed themselves. I know we did. There are 3 Graces in Greek mythology. Each with the power to grant charm, happiness and beauty. Here is a picture of the modern version; Gwendolyne, Evelyn and Joey. It was sunny and hot, hot, hot, with the occasional breeze. We drank lots of water and entertained many. It was the peak of the season. By the end of the weekend I really appreciated the value of a great hat. Yes our hats are practical. They also bring a lot of character into the theatre of life. Have a look at Evelyn. 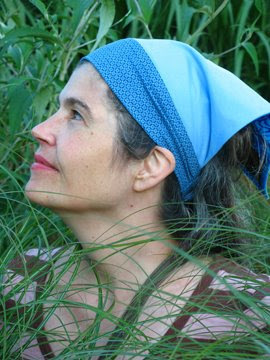 She's playing "Juliette" in one of our blue Zinnia hats. “ Romeo, Romeo, wherefore art thou Romeo?” Wow! She's so beautiful we felt lucky. And here is our good friend the lovely Rita. 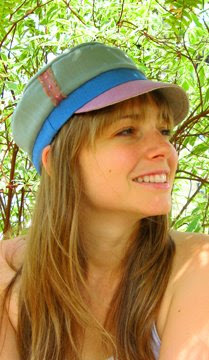 She's wearing a vintage Gwendolyne hat called the Garden Shade. How's that for a little glamour! You can see that our work is about self-expression. 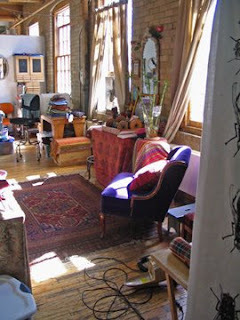 We create magical things to inspire peoples' individuality, beauty, beliefs and spirit. What a refreshing relief. Our booth was close to the Peace Garden, a lush oasis in a sea of cement. If you travel with a few trees and bring along some running water you can usually attract a breeze. But lets be sensible. 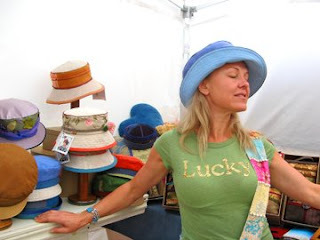 You'll always be cool under the brim of a fabulous Gwendolyne Hats original! It's Hip to be Happy! We had a taste of summer this weekend and it was delicious. The city felt joyful and sprang to life. There was a buzz in the air and people were talking. It was a magical moment the world was smiling. I thought, we need more of a life like this. That evening the rain came down in all its thunderous glory and brought cool weather. The time had passed so quickly it felt like a dream. It’s going to be a long hot season ahead, so I continued to nurture my thought from the weekend. I imagined what the Summer of Love was like and the positive things that decade had to offer. Peace, love and understanding. Free thinking, self- awareness. We could certainly use more of those ideas today. Wouldn’t it be nice if we had a new era of optimism and hope? Now is a good time to start. Inspire the world around you; celebrate life and all it has to offer. 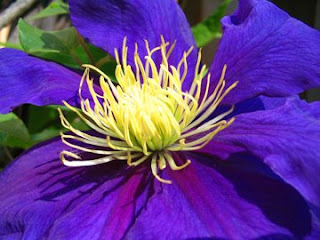 Let's put the power back into the flower! Gwendolyne and I live by these ideas. We invest our work with positive energy and share it with you. Yes we make beautiful things but we're philosophers too! Our designs have purpose, feel good and feed your spirit. This summer step out with confidence and spread that joy forward. 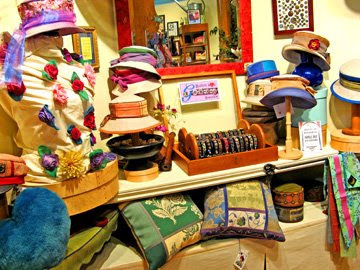 So, if you want to treat yourself to something special that has meaning and lasting value, Gwendolyne Hats shop in Toronto is the place to be! We love music and it's power to transport us to another time or place. Recently we had the pleasure to enjoy a marvelous concert right on our doorstep. Donald Quan and his new store Musideum were celebrating their grand opening. This amazing new addition to our building sells captivating old, new and exotic instruments. Wow! 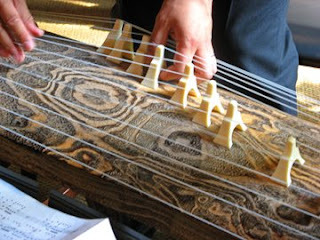 What wonderful sounds come from incredible instruments. 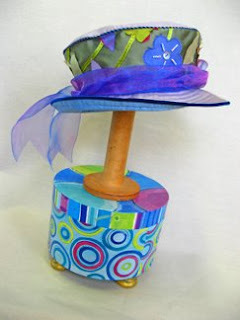 A Great Hat can change the day! We invite you to visit us at Our shop Tuesday to Saturday from noon till six. Or, Come to the Toronto Outdoor Art Exhibit in Nathan Phillips Square. We will be in Booth 560 in the turquoise section. Just north of the Peace Garden. the Four Elements. If you are interested in joining us please click here. Water is the first element in this series and the weather has been very co-operative, with lots of rain for inspiration. 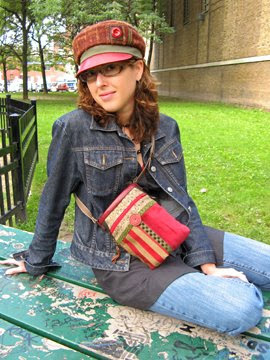 You may have seen Gwendolyne Hats on CityTV recently, JoJo Chinto stopped by our shop. He was doing a story about the award winning building our business calls home; 401 Richmond St. West. While JoJo tried on some hats, Gwendolyne talked about how this vibrant creative community has helped us and other people grow. There’s always something exciting happening here at 401 Richmond and Our Atelier is no exception . If you love Culture, Design and the Arts you must drop by for a visit. It will uplift your spirits and enrich your life. Sometimes you discover a special spot in the world that's so amazing you put down roots and blossom. That's what our atelier means to us. We're on the top floor. Our windows look out over the courtyard and onto the roof garden. 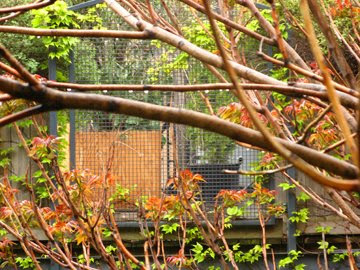 It's a lush oasis of climbing vines and new growth out there these days. How inspiring! It’s a quiet day today as we recover from Doors Open Toronto. We’re a popular destination on this city wide tour and this weekend was a lot of fun. Our Shop was bustling with activity as many new people took advantage of the opportunity to play dress up with our latest designs. As you can see we're more than just a hat shop. It was very rewarding to see the positive response. "I am so happy to find this place. This is what the world needs these days, things made with care, wonderful materials and so much beauty. Your work speaks of individuality, I am so excited. I want you to be successful as I love what you are making. You are making things that I can relate to, that have spirit and meaning". Then Julia bought something for herself to celebrate that idea! It's great when people totally understand where you are coming from and cast their vote for the positive things in life. That's certainly what Gwendolyne and I believe in. If we noticed one common thread this weekend... More people are feeling this way too. The warm sun has been streaming in the windows of our cozy Toronto Atelier, making us feel like Spring has arrived. These beautiful bright days keep the spirits up and our creative juices flowing. We're very focused, creating new work to change with the weather. 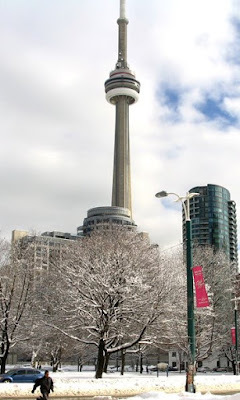 While sweet sap flows from the maple trees here in Canada, our urban sugar shack is cooking with gas. 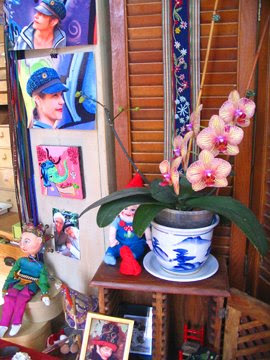 With birds singing outside and the orchids blooming, our sunny studio is an inspiration for the season ahead. Of course we only have to step outdoors to realize it’s still quite chilly. But, it’s the thought that counts. 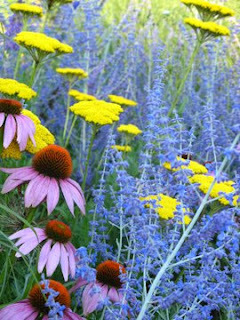 Spring is a time of growth, renewal and of new life being born. 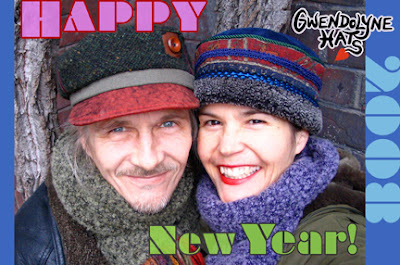 Gwendolyne and I are very excited this year about creating new products that expand our vision. We intend to try our hand at new things. So keep your eyes open and ears to the ground. 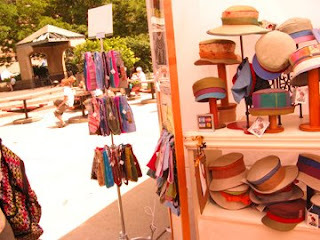 Our Abbey Road is a popular hat. I've certainly enjoyed mine. It's charming, stylish and I find the peak very practical. This season we’ve created a fresh look with some wonderful new colours. There is also a lighter weight version for the warmer weather; shown here. 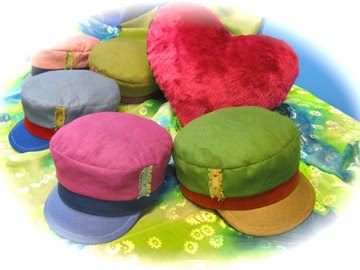 Remember, each one of these beauties features a luxurious lamb leather peak with a magical vintage button accent. 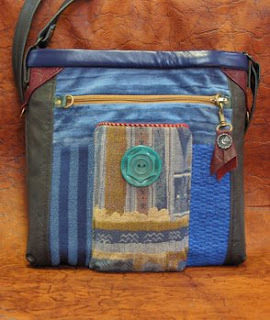 and this limited edition of pocket-sized messenger bags, is definitely full of spirit. A lot of care has gone into making them. 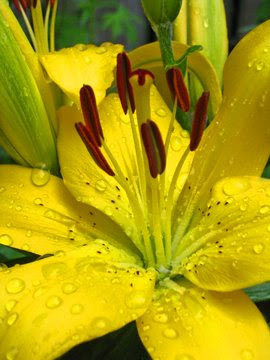 They are long lasting as well as beautiful. Each Zoe is one of a kind. I know Gwendolyne is very proud. Miniature masterpieces, they are just big enough to carry the essential things. Perfect for when we take off all those layers and want to travel light. Good things come in small packages and each one of these beauties comes with a signature, edition number and their very own box. If you need one to match a special outfit there's more choice available in our shop. Gwendolyne adores antique and vintage buttons. Attracted by their attention to detail and celebration of craft, she is also fascinated with the stories that surround them. Like Gwendolyne designs, collectable buttons are practical things invested with meaning, that celebrate life. Buttons are a type of jewelry. Which leads me to yet another wonderful new addition to our shop. 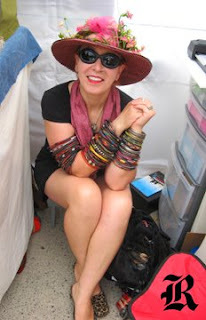 One that reflects Gwendolyne's passion to create beautiful things that resonate. Button Love Bracelets sparkle in the light. In our shop we have a treasure chest of choice and a variety of sizes. 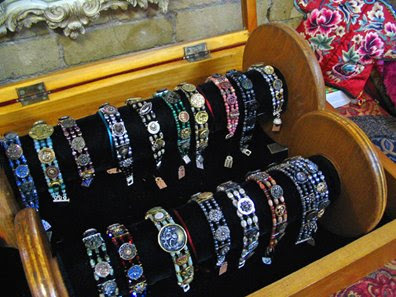 Every button a is piece of history and each bracelet has it's own story. Fastened with a sterling silver magnetic clasp, they're easy to get on and off. These buttons are all late 19th century antiques. It's a blizzard out there. At this time of year people are eager to see the end of winter. However Mother Nature has a mind of her own. These last snowfalls are essential for the waking of sleepy roots and seeds beneath the ground. In warmer climates this time of year is called the wet season. 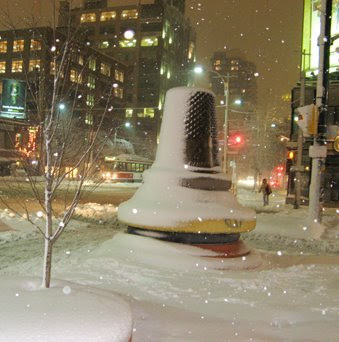 Most people in Toronto feel beleaguered by all the snow. Personally, I just love it! I’m always inspired by the power and beauty of nature. Every snowfall is an opportunity for me. 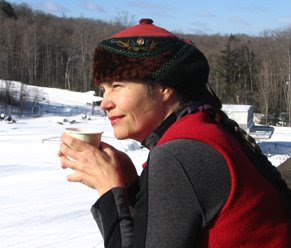 Should I play inside and create the perfect winter hat or go outside to experience the invigorating vitality of winter activities. William and I were fortunate to get out of the city and enjoy the country these last few weeks. Growing up in Northern Ontario I skied every weekend with my family. Winter was a lot of fun. On the ski slopes one of my big challenges was perfecting my slalom, the other, like all young girls, was getting the attention of older boys. 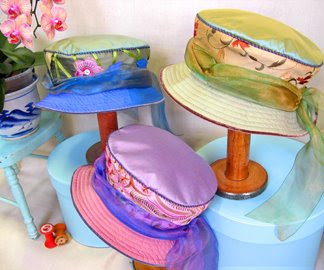 Gwendolyne Hats goes out on the road at this time of year. Like gypsies we travel to spread our magic. There's always a sense of excitement as we leave the city. Our daily routine has changed and we’re off on an adventure. Into the winter wonderland we go, the sun is bright, the snow white, and everything glistens. Here we are traveling north to ski country to do a trunk show. 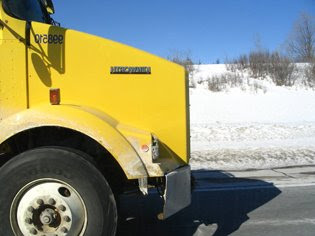 This beautiful yellow truck caught our eye on the way. We always drive up ahead of time to enjoy the sights. Mixing a little business with pleasure is essential. It’s great to get out of the studio after making some beautiful new things to inspire people. Creating and selling your own work is like Show and Tell in school. Once your new work is complete, you can't wait to share it with others. Arriving at our destination we set up our display and go out for a nice dinner. Returning to our B&B we enjoy a relaxing evening of in front of a cozy fire. The next day it’s Showtime! 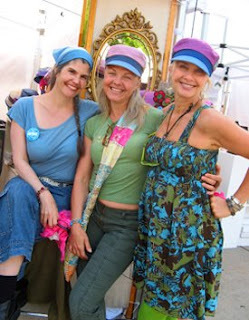 People play dress up while we illustrate the power and lasting beauty of our handmade wares. During the day we meet new friends and say hello to familiar faces. Some discover us for the first time; others are in the know already. Then there are dreamers looking forward to the future. Everyone an individual, all with smiling faces. 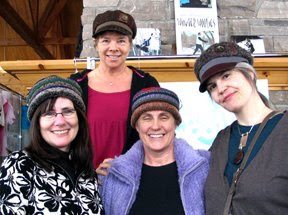 Our customers share stories about meeting people who own and wear our designs. It feels good to know we make something that brings such pleasure, comfort and individuality to peoples lives. Many thanks to all those who have supported us in our journey. We look forward to meeting many more of you. 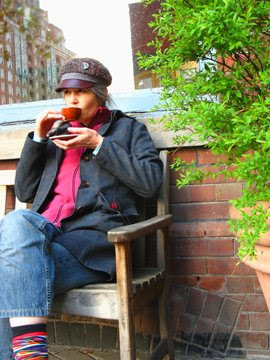 After all, Winter is a season I believe is largely misunderstood, until you own a Gwendolyne Hat. 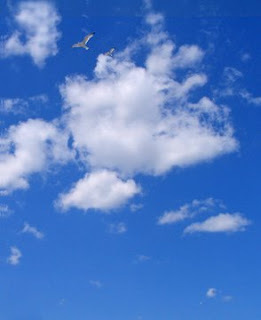 It was refreshing start this January. An open heart and positive thinking. We wanted to revitalize our approach in our atelier and we have done so with a full force creating together some new and wonderful accessories below the head. Back in December a customer of mine made a request. He wanted to surprise his wife with a gift she so desired. 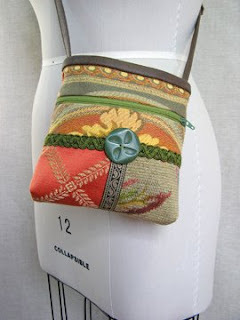 Five years earlier I had created a small shoulder purse sample and eventually gave it to a friend. There was still work for me to do on the design, so onto back burner it went. Sinter Claus (the Dutch equivalent to our Christmas) is a magical time as my design house began 1991 because of it's tradition of the making of a gift for one person. 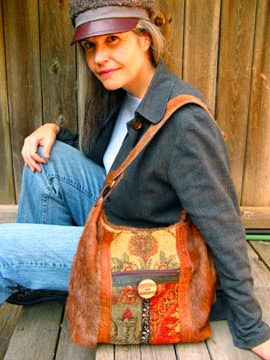 His wife's desire and the timing, pushed me on to complete the purse design and bring it to life. I named the design "The Zoe" which translates from the Greek to "life" in English. Continuing the topic of life, the Lunar New Year calender begins tomorrow. William and I took advantage of last week's snow abundance that fell onto our city of Toronto and made this Snow Rat to celebrate the "Year of the Rat". 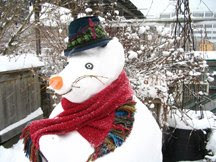 Made in less than 2 hours we dressed our icy friend with a Gwendolyne Hat (The Enoch and The Boucle Scarf). Dashing don't you think? We are fortunate to have two new years to celebrate. One to get us on track, and the second to confirm our new direction. I would conclude that yes, we are definitely enjoying the fruits of our labor and thrilled to see our results.